This awesome men's bi-fold wallet is made from premium vegan leather. 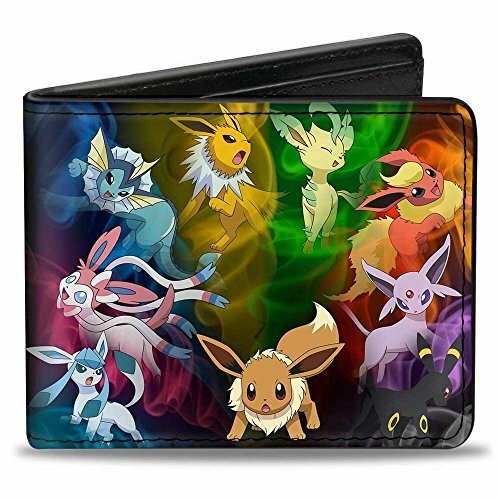 It measures 4.0x3.5x0.5 Inches, and features the standard billfold, 5 card slots, and windowed ID holder. The logos are applied using advanced printing technologies, so the wallet will still look good after years of hard use. This product is Officially Licensed by The Pokemon Company. If you have any questions about this product by Buckle Down, contact us by completing and submitting the form below. If you are looking for a specif part number, please include it with your message.